Your 2018 New Year’s Resolution? Don’t Make One! 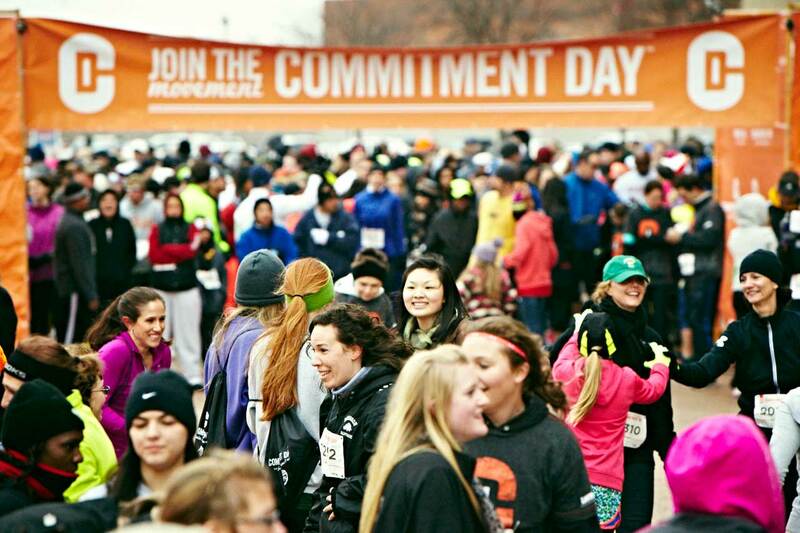 Register for a Commitment Day 5K near you! Your 2018 New Year’s Resolution? Don't Make One! 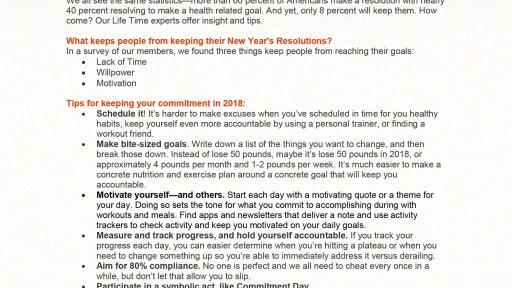 CHANHASSEN, Minn. (Dec. 27, 2017) — New Year’s resolutions are always the same – get healthy, lose weight, exercise more, eat better, blah, blah, blah… – yet, research shows only 8% of Americans actually achieve success. And, it’s estimated that 80% of those resolutions are abandoned within the first few weeks or months. Why? Most people don’t commit to choosing the right goal, finding the motivation and following through. It’s important to really take some time to consider what you want to achieve and what you want your life to look like. Whether it is losing weight, increasing energy or reducing your risk of disease and living longer. 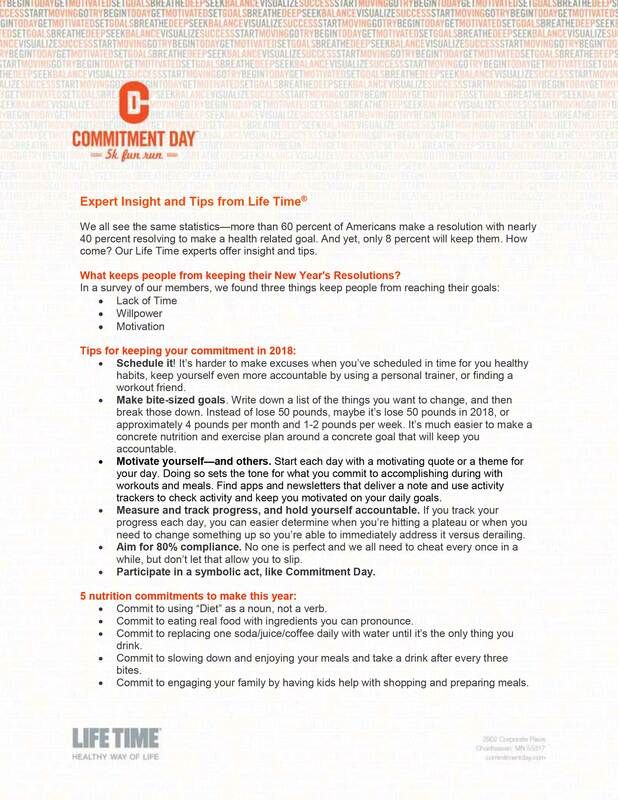 Life Time, the nation’s only Healthy Way of Life brand, suggests everyone to refrain from faulty resolutions and instead make a genuine commitment. 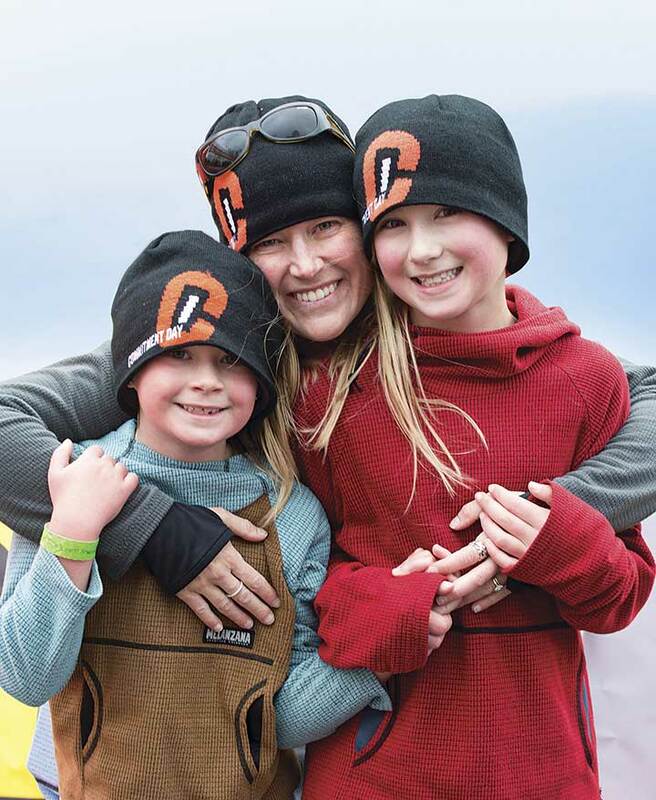 According to Life Time Chief Operating Officer Jeff Zwiefel, “achieving optimal health requires the right strategy, professional coaching, products and commitment. And believe it or not, it’s quite simple when you actually break it down and frame your goals in a positive manner so they become something you look forward to rather than a chore.” The best part of this way of thinking is that your results are safe, effective and will stand the test of time. Know it. 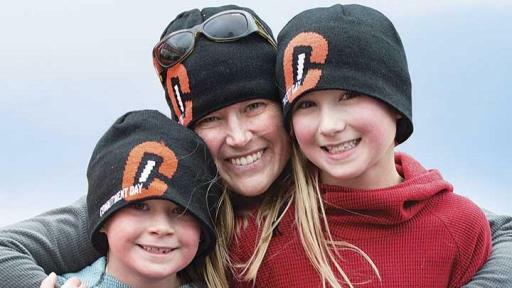 Achieving health and fitness goals is more than just logging hours in a gym. Nutrition, stress, sleep and recovery all play a critical role. Understanding how your body works and how it truly responds to food and exercise is the key to long term results. This information will help you in identifying the right goal to get you where you want to go. Move it. 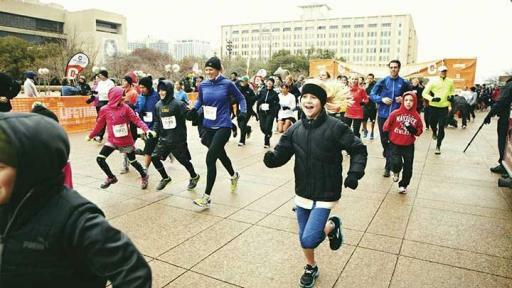 It comes down to sweat equity. It’s easy to pick a number you want to see on the scale, but the amount of effort required to make it happen can be daunting, especially if you’re not seeing regular rewards along the way. You need the right motivation propelling you forward in order to silence the barriers between you and success. Ensure you’re considering multiple markers to track success and measure your progress along with way. Too many people use the scale as the indicator for success yet tools like body composition and body circumference measures may be better indicators of your improvements. 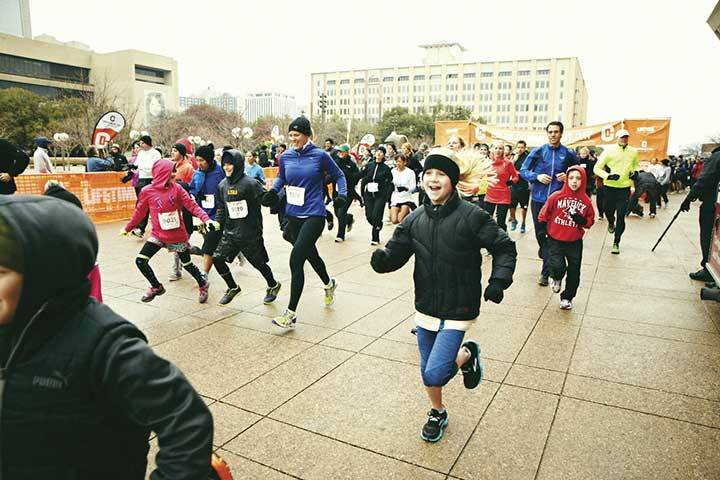 With this in mind, Life Time welcomes the public to participate in the sixth annual Commitment Day 5K on Jan. 1 and month-long series of Commit to Fit events designed to inspire people to start the year with a pledge – and action – toward a year of better health. 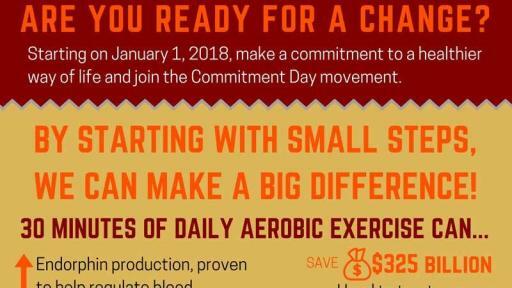 Held at 40 Life Time destinations across the U.S., Commitment Day is designed to inspire people to start the year with a pledge – and action – toward a year of better health. Throughout the month of January, Life Time’s 130 destinations will host the Commit to Fit movement featuring a variety of health and fitness experiences and activities for all ages, including Yoga Week, Studio Week, Cycle Week, an Indoor Tri and Training Week. For those interested in becoming members, Life Time will provide special pricing and other incentives to help ensure they achieve their commitments, total health objectives, athletic aspirations and fitness goals in the coming year. 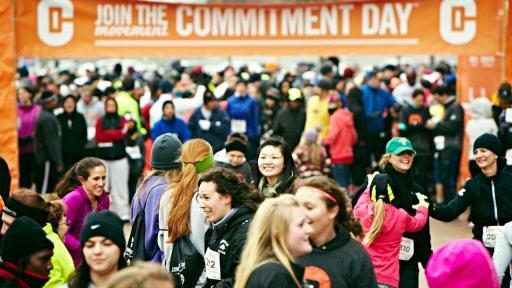 For more information on the Commitment Day 5K, including how to register and locations, visit www.CommitmentDay.com. 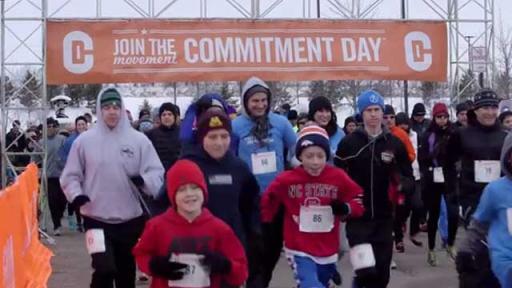 And, for more details on Commit to Fit events happening in January, visit your local Life Time location.